According to the Controller General of Patents, Designs & Trade Marks the disclosure provides a process to regenerate an ion exchanger used to capture salts from a solution. In accordance with another aspect, this invention relates to the integration of an ion exchange process with an acid gas capture process. In a particularly preferred embodiment, the acid gas that is captured comprises one or more of sulfur dioxide, hydrogen sulfide and carbon dioxide. 1.A method for the removal of an amine captureable gas from a feed gas stream using an amine solvent, the method comprising: a) contacting the feed gas stream with a lean amine solvent to form a rich amine solvent, wherein heat stable salts are present in the rich amine solvent; b) stripping amine captureable gas from the rich amine solvent to form the lean amine solvent and an overhead reflux stream; c) periodically contacting at least a portion of one or both of the lean amine solvent and the rich amine solvent with an anion exchange resin to form a first heat stable salt lean amine solvent; d) periodically regenerating the anion exchange resin, wherein during the regeneration of the anion exchange resin, at least a portion of the reflux stream is used to wash the amine solvent from the anion exchange resin to produce a second heat stable salt lean amine solvent; and, e) recycling the at least a portion of the first and second heat stable salt lean amine solvent for use in capturing the amine captureable gas from the feed gas. 2.The method of claim 1 further comprising selecting the amine captureable gas from one or more of SO2, H2S and CO2. 3.The method of any of claims 1 and 2 further comprising selecting the lean amine solvent as the amine solvent that is contacted with the anion exchange resin. 4The method of any of claims 1 – 3 wherein during step (d), the anion exchange resin is treated to remove the amine solvent therefrom prior to regenerating the anion exchange resin. 5.The method of any of claims 1 – 4 wherein step (d) comprises: a) the anion exchange resin is contacted with water to wash amine solvent from the anion exchange resin; b) the anion exchange resin is subsequently contacted with a regeneration agent to obtain regenerated anion exchange resin and spent regeneration agent solution; and,mc) washing the anion exchange resin with water to remove the regeneration agent therefrom and to obtain a regeneration agent wash effluent. We atTech Corp Legal LLPregularly POST such updates with details of International Patent Laws, and International Patent Procedures. Our team is proficient in services related to International Patents, PCT Filings, PCT National Phase in India, Patent Searches, Patent Drafting Services, Patent Claim Construction, Patent Drafting From Invention Disclosure Form, Patent Drafting to Indian Companies, Patent Draft for foreign inventors, Patent Oppositions, Pre-grant Patent Opposition in India, Post-grant Patent Opposition in India, Patent Infringement in India, Patent Drafting in India, USPTO Patent Drafting, EPO Patent Drafting, Patents, Trademarks, Copyrights, Designs, Domain Names, Geographical Indications, Layout Design of Semiconductor Integrated Circuits, Enforcement of Intellectual Property Rights etc. Indian Patent Office publishes patent by way of official patent journal, which is published every week on Friday. 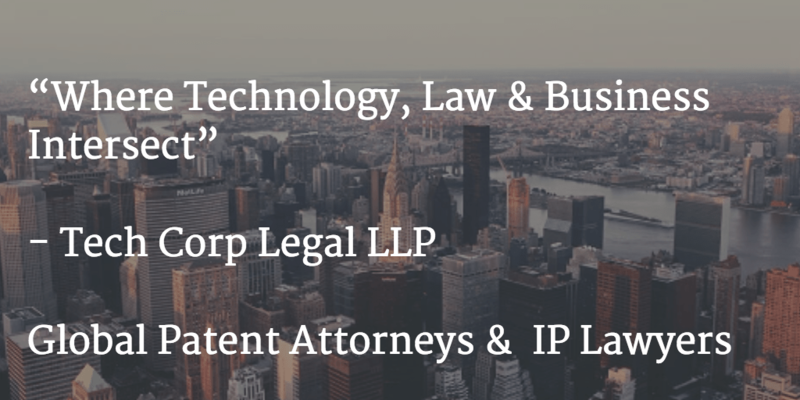 We at Tech Corp Legal LLP, an International Law Firm headquartered in New Delhi, India, regularly post crucial details of published patents with details of Indian Patent Laws, Indian Patents Act and Indian Patent Procedure. Does an International Patent Application filed under Patent Cooperation Treaty (PCT) designating India be treated as a patent application for grant of patent under the Indian Patent 1970 Act? Yes, an international patent application filed under Patent Cooperation Treaty (PCT) designating India shall be treated as a patent application for patent under the Indian Patent Act if filed within 31 months from the earliest priority date of the patent application before the Indian Patent Office. Will filing a patent application under PCT grant worldwide patent protection? No, the Patent Cooperation Treaty (PCT) patent application doesn’t provide universal or worldwide protection for a claimed invention. The international patent application only provides interim way out to extend the time line for filing the patent application in other foreign countries. The time available under Paris Convention for securing priority of the patent application in other countries is 12 months from the date of initial filing. Under the Patent Cooperation Treaty (PCT), the time available could be as much as minimum 20 and maximum 31 months in case of India. Moreover, a patent inventor is also benefited by the international search report prepared under the PCT system to be sure that the claimed patent invention is novel and non-obvious to a person skilled in the art. The patent inventor can also select for preliminary examination before filing in other foreign countries to be very positive about the patentability of the claimed invention. Tech Corp Legal LLP presents a summary of patent specifications with associated drawings for journalistic news purposes as each such patent application is disclosed by the Indian Patent Office in the official patent journal. Full text of any patent specification should be read in its entirety for full and accurate details by downloading the patent specification from the Indian Patent Office website. Tech Corp Legal LLP is no way associated with the above mentioned company/individual(s) in any manner whatsoever. About Comments: Tech Corp Legal LLP reserves the right to post, dismiss or edit comments.